Last night's Golden Globe Awards kicked off the 2015 award season. The Golden Globes are less formal than the Oscars. The bubbly flows freely and the dress is less conservative. The Hollywood starlets were out in full force last night. The Red Carpet was ablaze with the good and the bad. I'm sticking with the good today and highlighting my favorite looks from the 2015 Golden Globe Awards. Naomi Watts nearly always makes it to my best dressed list. Last night's lemon yellow sorbet dress was a home run. Although jewelry wasn't a standout item on the red carpet, Watts' choice of an eye-catching necklace was spectacular. Sienna Miller rocked a gorgeous embellished, bone-colored dress. Her textured bob paired nicely with the dress by playing off its formality. Kate Hudson was jaw-droppingly beautiful in a white Versace gown. The way this gown hugs her curves...stunning. 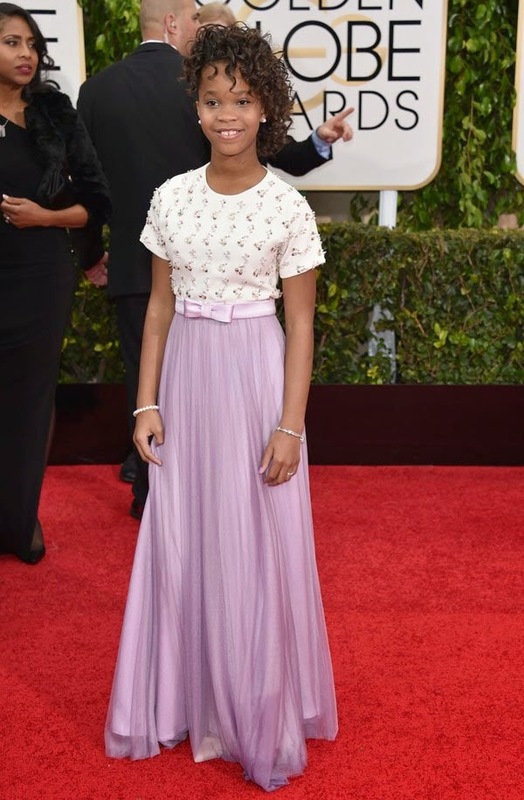 Quvenzhane Wallis was charming in lavender. I love that this dress is completely age-appropriate. She's a winner in my book. Allison Williams was reminiscent of old Hollywood glamour with subtly wavy hair and a multi-tiered red dress. One of my favorite over 40 funny gals rocked it, as always, last night. Julia Louis-Dreyfus is smashing in white. And ladies, let us not forget about the men. Paul Rudd and Adam Levine were looking mighty dapper last night.